When wildflowers start appearing in your hometown, you make a point to go out and play in them! Spring in the Pacific Northwest is riddled with rainy days, buckets of water pouring from the skies. And then there are days where the birds sing loud as can be, the sun warms our skin and we're back to short sleeves and wishful thinking that summer is here. 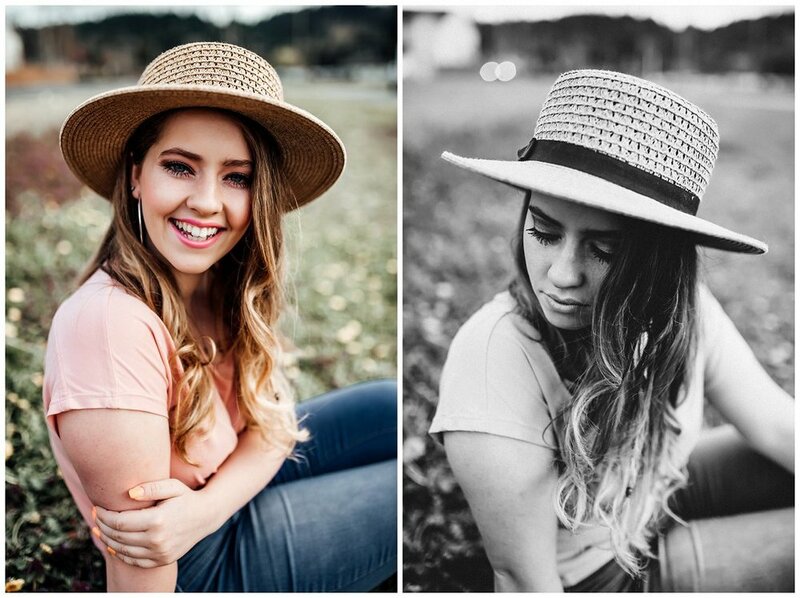 I took two of my class of 2018 models, Gracie & Taylor, out for some fun and I have to admit that these are some of my favorite images of them! I love Gracie's sunglasses and Taylor's hat- which is actually mine! She was a little hesitant about wearing a hat, as she doesn't wear them often, but she loved the look once she saw it. Sometimes adding a fun accessory to an outfit, especially in photos, makes the look so much more interesting and tied together. This is a fun little session filled with smizes that could kill, lots of laughter and pretty spring blossoms.